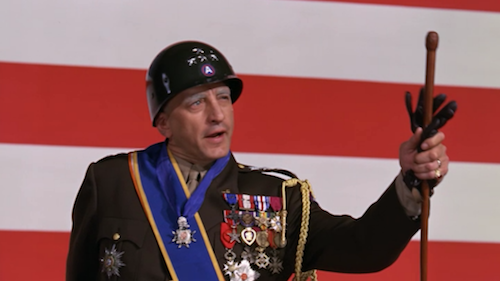 My criteria for selecting this top 10 was fairly strict and I struggled to stay within the boundaries I’d set up, it would have been incredibly easy to just throw my guidelines out the window and write my 10 favorite movies since ‘Saving Private Ryan‘ when technology advanced to the point that every movie became astonishingly realistic. I didn’t want to fill the index with what reminds me of cookie-cutter filmmaking. I love the newer movies simply because the production value is outstanding compared to their predecessors, but it’s that thinking that causes us to miss a lot of really good movies from years past. I canvassed films from all war periods and ended up up with a healthy cross-section made up of dazzling current hits and favorites from days gone by. The films had to be realistic, the weapons had to fit the time period represented, if there’s one thing I hate more than anything it’s having a weapon that wasn’t created until Vietnam showing up in a World War II movie! I wanted action, not a lot of family drama, granted you can’t get realism without a healthy dose of human emotion, but I wanted the fighting featured a bigger percentage of the time. I did not go by critic reviews, I used my own likes and dislikes, for that reason there are quite a few that are missing from my Top 10 that are probably in yours, feel free to tell me about them, I may not agree but a healthy discussion is fantastic! Buckle up Buttercup, here we go! 10. 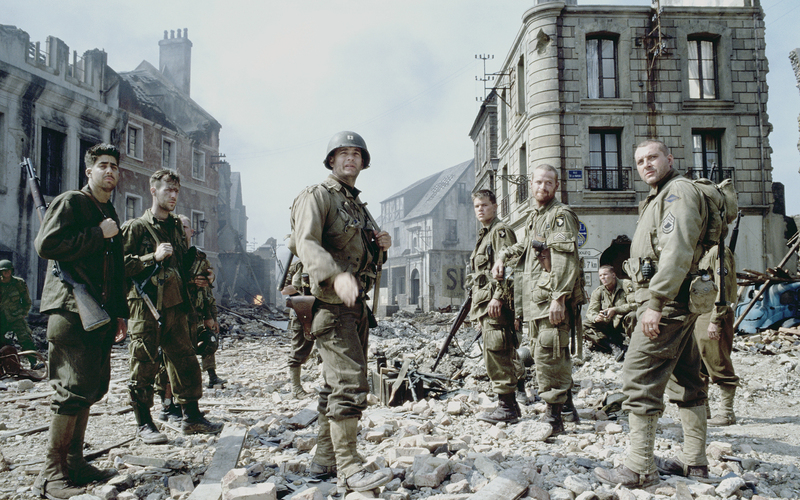 ‘Saving Private Ryan‘ – Director Steven Spielberg continued breaking records with this picture, he created new technology and utilized it on screen in a whole new way that opened the door for future filmmakers to tell gritty, realistic stories. Private Ryan (Matt Damon) is the only surviving son of a widow after her other sons are killed in action during World War II, for this reason, a special team must go behind enemy lines to seek out Ryan and send him home. 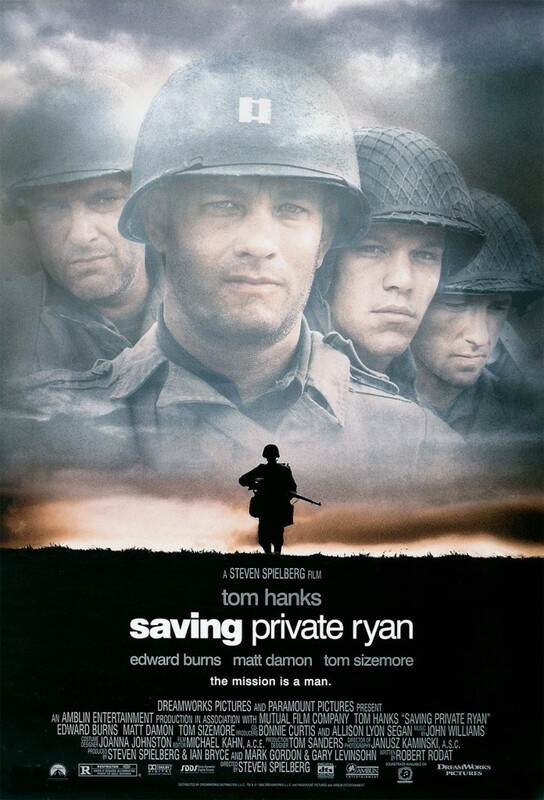 Tom Hanks gave one hell of a performance as Captain Miller but some of the standout performances for me are those of Max Martini as Corporal Henderson, Barry Pepper as Private Jackson, Tom Sizemore as Sergeant Horvath and Ed Burns achieved the title of “Character I Love To Hate” with Private Reiben. 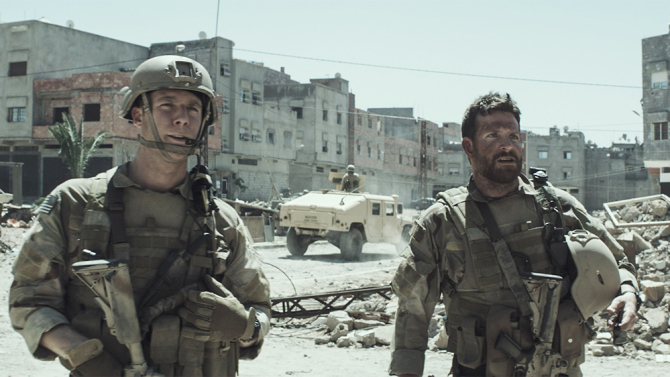 This unflinching look at war was so realistic that it caused several veterans to suffer flashbacks, it also makes for a pretty bad first date movie. 9. ‘Full Metal Jacket‘ – This is one of those movies that should be a pre-requisite to entering any kind of pop culture trivia contest. The dialogue is incredibly quotable and totally meme worthy. 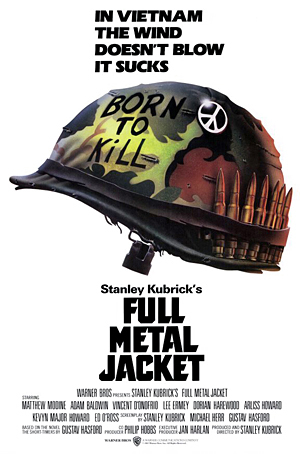 Hard-nosed director Stanley Kubrick gave us a brutally close look at the Vietnam war through the eyes of a new recruit (Matthew Modine) with a strong dose of pragmatism. 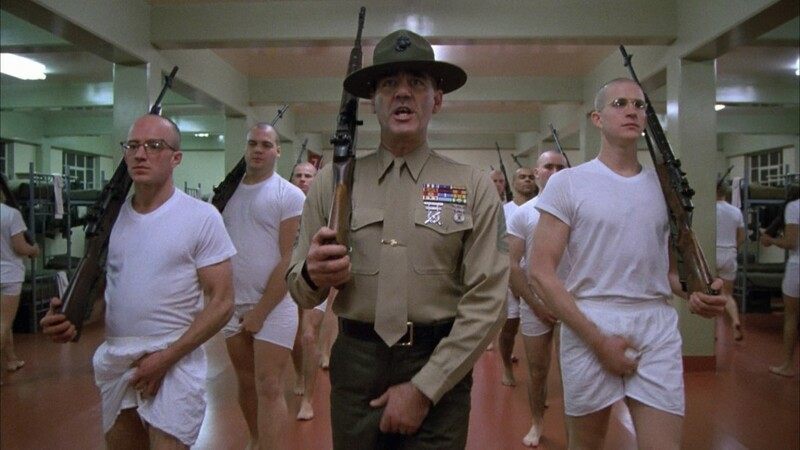 Some of the essential performers in this piece are Adam Baldwin (Animal Mother), Vincent D’Onofrio (Gomer Pyle) and R. Lee Ermey (Gny. Sgt. Hartman). 8 . 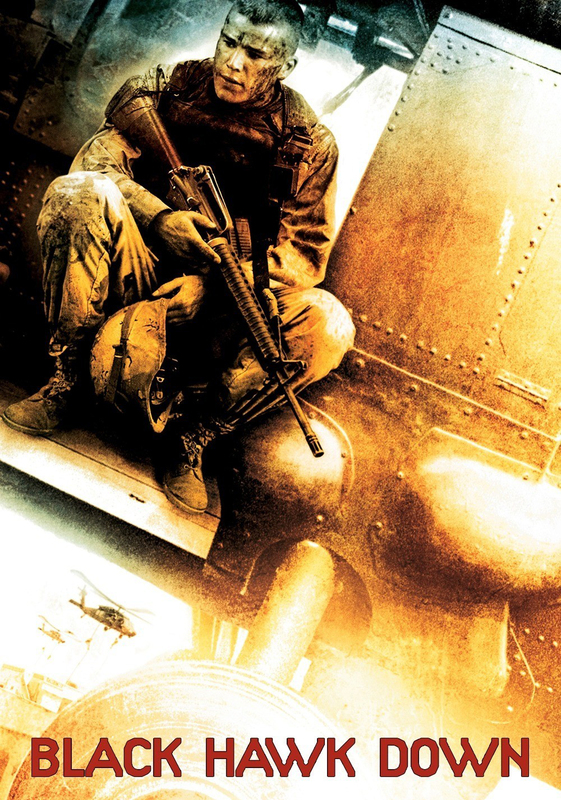 ‘Black Hawk Down‘ -This film covers the disastrous events in Somalia where two Black Hawk helicopters went down on a mission to capture two lieutenants of a Somali warlord. The rescue mission is a heartbreaking series of events that should choke up every person that identifies with the word “patriot”. Some distinct executions in acting come from Eric Bana, Kim Coates, William Fichtner, I like Josh Hartnett, but he didn’t really come off any more than what I expected him to. Ewan McGregor was remarkable going from a perfunctory clerk to a badass behind a weapon, and in a blink and you’ll miss it role is Orlando Bloom. This one is a hard watch for me emotionally, but there are some scenes that really make it worth it, particularly when the Delta snipers ask permission to protect Durant, they know it’s going to end but they’re going out taking down as many of them as they can. Such a devastating moment but – wow. 7. 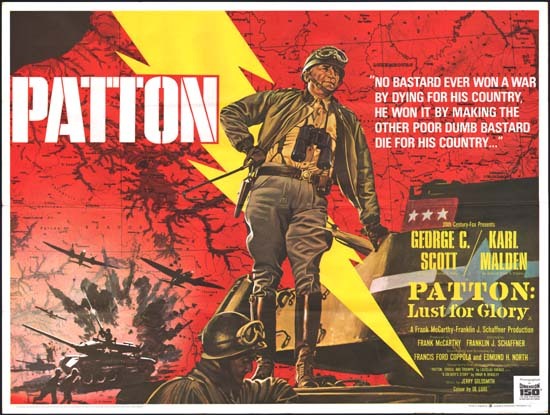 ‘Patton‘ – This biopic covering General George S. Patton, famous tank commander during World War II. We see what made Patton great along with the flaws that made him human. It’s one of the longer pieces on the list clocking in at 172 minutes. 6. 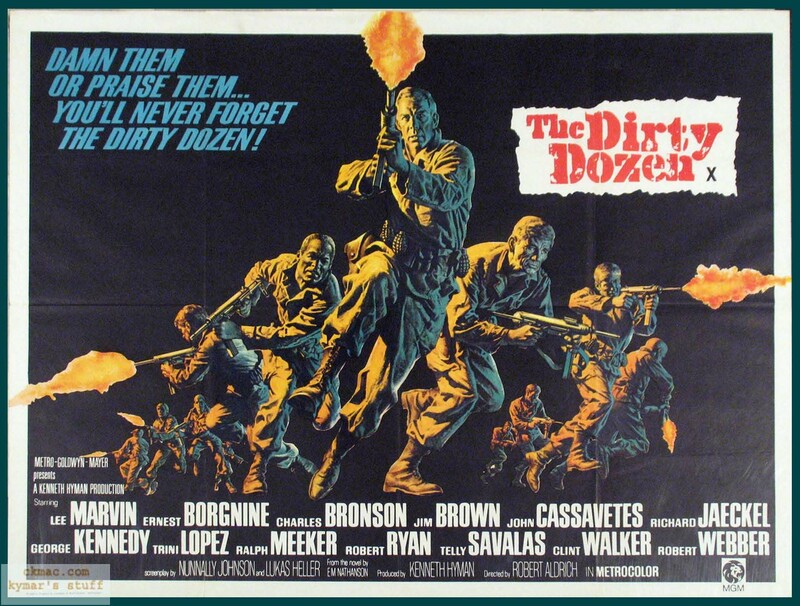 ‘The Dirty Dozen‘ – A Major with an attitude problem and a history of getting things done is told to interview military prisoners with death sentences or long terms for a dangerous mission; To parachute behind enemy lines and cause havoc for the German Generals at a rest house on the eve of D-Day. What is there to dislike about this movie? I find nothing, it’s absolutely thrilling, unique and a great watch. 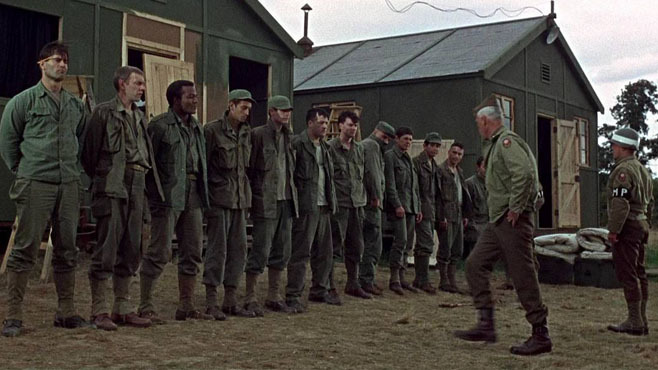 On top of having a great cast, they go one deeper Lee Marvin (Marines), Telly Savalas (Army), Charles Bronson (Army), Ernest Borgnine (Navy), Clint Walker (Merchant Marine), Robert Ryan (Marines) and George Kennedy (Army) all served in World War II. This film was so important to Jim Brown that the extended shooting schedule would have encroached on training camp for the 1967-1968 and he was threatened with suspension and a fine, this led Brown to not only finishing the film, but retiring from football. 5. 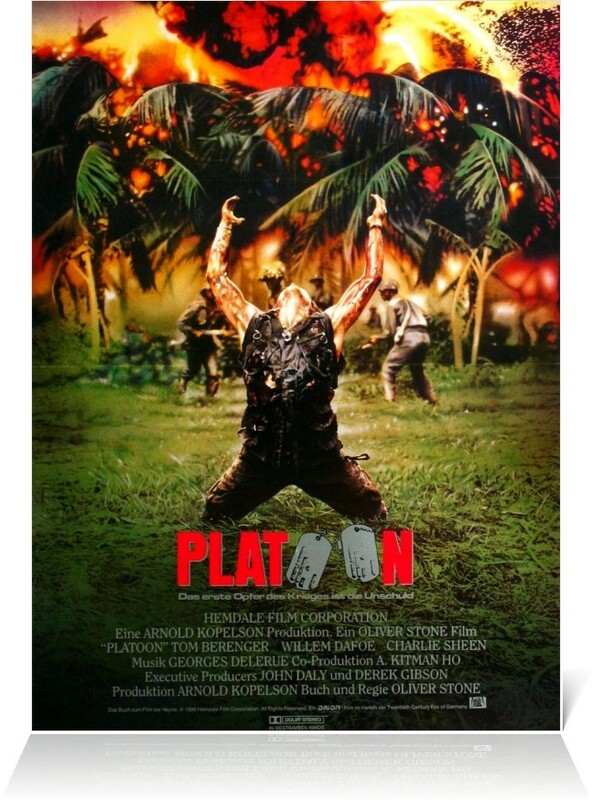 ‘Platoon’ – This is one of Oliver Stone’s crowning achievements as director. He managed to encompass the many facets found in the psyche of the American military during Vietnam. We see the unparalleled fear in Charlie Sheen’s portrayal of Chris Taylor as a wide-eyed innocent who volunteered to serve but soon realizes he’s not as important as he hoped he would be. Willem Dafoe gave his most quintessential performance as Sgt. Elias, his iconic death scene was the centerpiece of the marketing campaign, Dafoe even gave a subtle nod to the scene in ‘Boondock Saints‘. Stone really got each end of the spectrum when it came to portraying the easy going, laid-back King (Keith David) and compared him to the violent Bunny (Kevin Dillon), the image of Bunny cracking a dude’s skull open is one that will stay in my subconscious for the foreseeable future. 4. 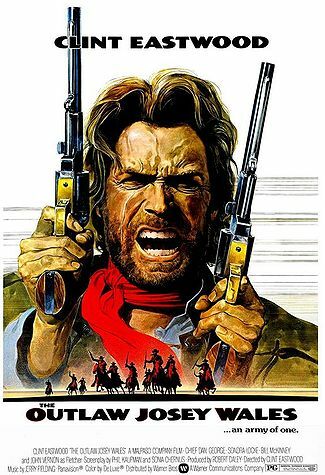 ‘The Outlaw Josey Wales‘ – Clint Eastwood gave us some phenomenal characters over the course of his acting career and Josey Wales is one of my favorites. He joins a confederate guerilla unit and ends up running from union soldiers that murdered his family. Of course that only goes so far, one of my favorite scenes is after Wales has moved West and is in town buying supplies when he’s recognized as he’s surrounded by union soldiers, some of the best gun-play Eastwood put on film in my opinion. 3. 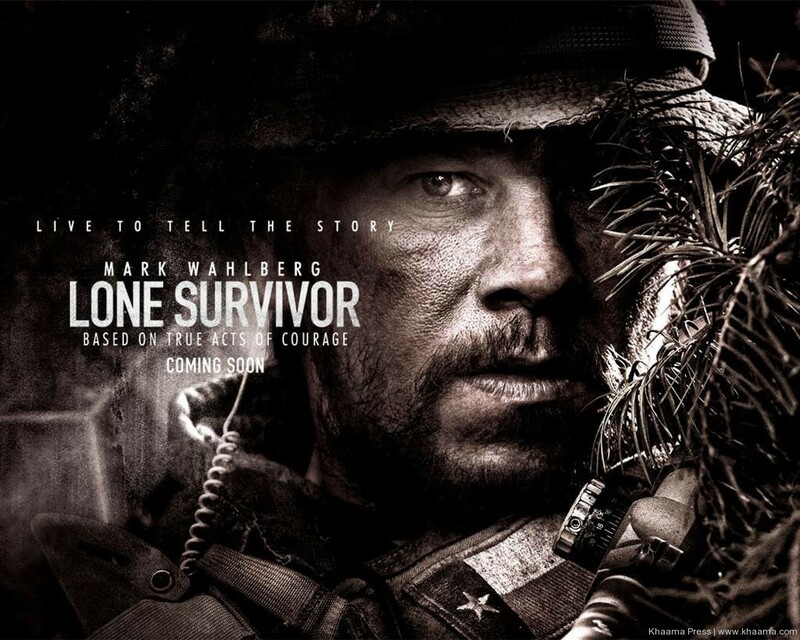 ‘ Lone Survivor‘ – This first person account is based on Marcus Luttrell’s novel about how he and his team set out on a mission to capture or kill notorious Taliban leader Ahmad Shah, in late June 2005. 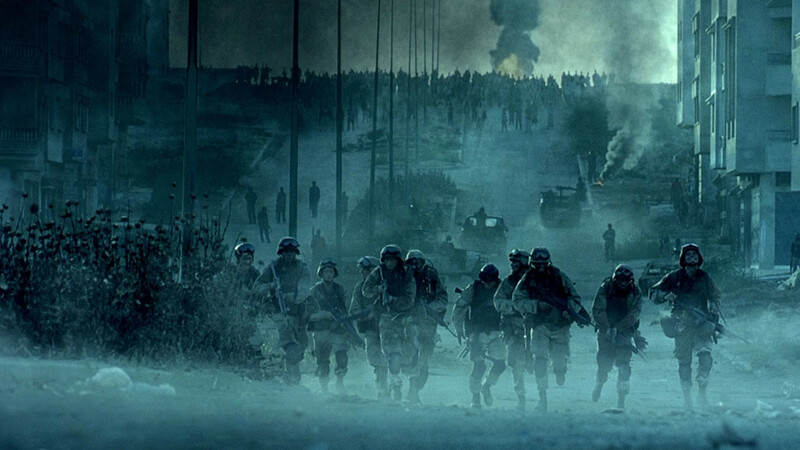 Marcus and his team are left to fight for their lives in one of the most valiant efforts of modern warfare. Most of these are difficult to watch but this one is right at the top, one of the most heart-wrenching scenes comes from my pick for best actor in the film, Taylor Kitsch as Michael Murphy when he sacrifices himself by running out into the open to call for support, he knew what mattered and it was his brothers. Damn near makes me well up remembering the scene. 2. 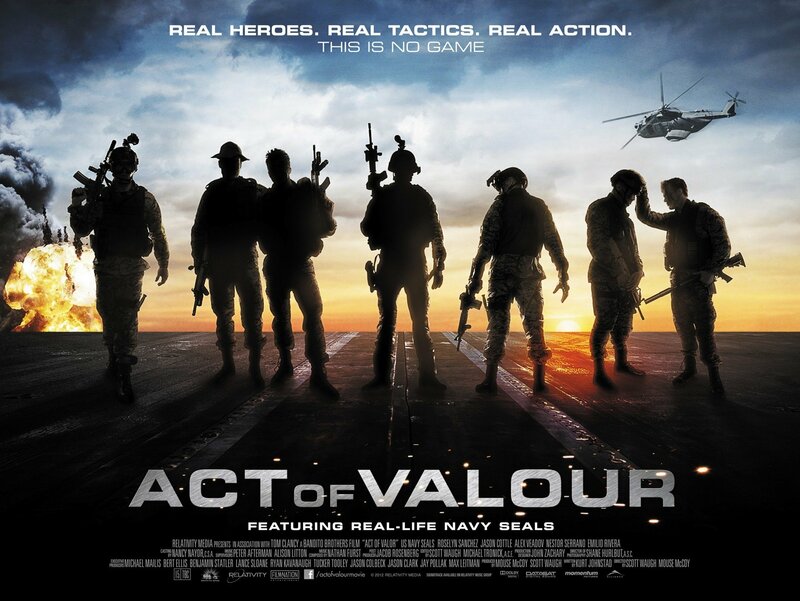 ‘Act of Valor‘ – This film is unprecedented in it’s realism and in its stars, going by first names only, active members of the illustrious Navy SEALS took over in front of the screen when it proved too much of a challenge for the actors originally attached to play the highly skilled team. 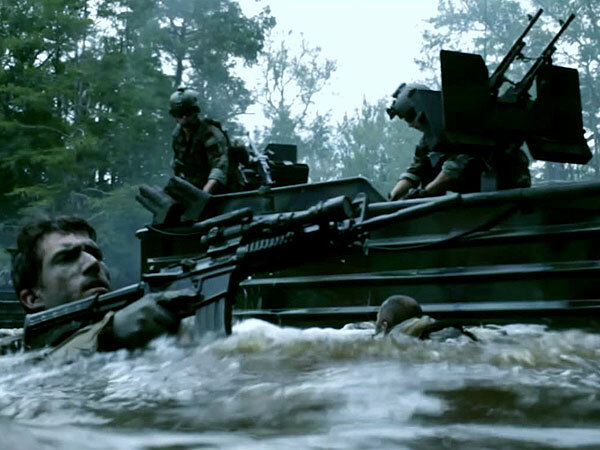 A scene that sticks in my mind is from the beginning of the film when they are in a gun boat going to pick up a team member and a hostage when several truck loads of baddies pull up, they are absolutely destroyed by the gun boats. Keith Urban’s contribution to the soundtrack with ‘For You‘ brings back every scene from that movie in crystal clear detail. 1. 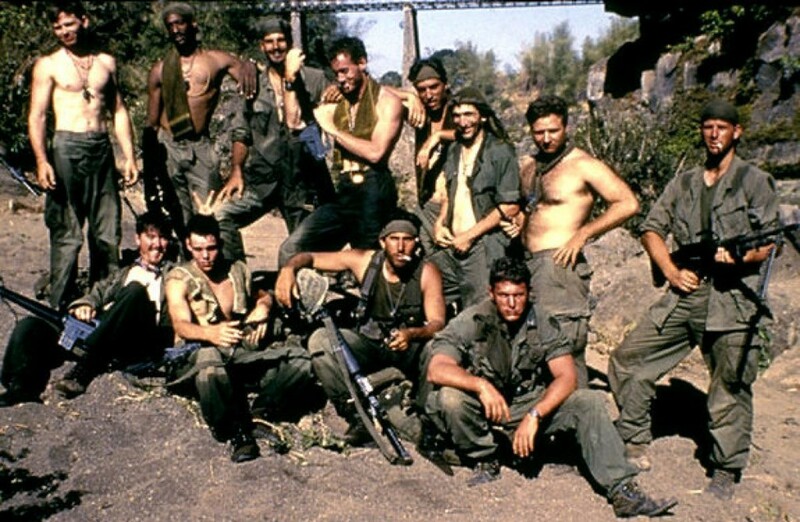 ‘ The Green Berets‘ – Col. Mike Kirby picks two teams of crack Green Berets for a mission in South Vietnam. First off is to build and control a camp that is trying to be taken by the enemy the second mission is to kidnap a North Vietnamese General. 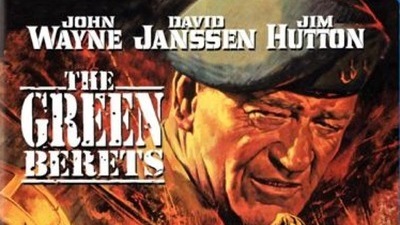 While this isn’t my favorite John Wayne film, it is my favorite war film, or it was until ‘American Sniper‘ was released. I’m going to have to completely re-think the order of this list adding Sniper to the mix but I just wanted to share my favorites in this category with Duke Frakking Wayne coming out on top one last time. 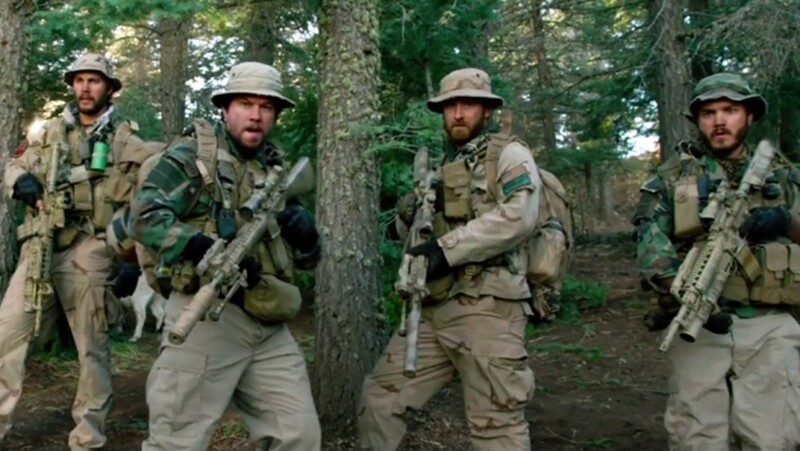 Chris Kyle was a hero, he’s an incredibly personal hero for my family, my daughter and I picked apart the differences from the screen version and compared it to the book but that is “technically” my #1, as for the list, I’m sticking with ‘The Green Berets‘ today. If you grew up watching George Takei, his character wouldn’t have surprised you, for the younger crowd who only recognize him from old ‘Star Trek‘ reruns might be surprised to see him here, but he is the star of one of my favorite scenes, toward his character’s death, as the VC are over-running the camp he is able to get to the detonator for a ton of booby traps that had been placed, pure brilliance. That’s a scene that makes me give a fist pump each time I watch it. It’s the overall feel of this movie, and John Wayne, that makes this one take the top spot for me. This entry was posted on Sunday, January 25th, 2015 at 7:17 pm	and is filed under Film, News. You can follow any responses to this entry through the RSS 2.0 feed. You can skip to the end and leave a response. Pinging is currently not allowed.